We expect this consignment in by the week end. You may preview it Saturday of Sunday, but please give us until the beginning of next week to make it ready for sale. Also we just received a king size Tempurpedic Cloud Supreme Breeze. Practically new this is a gem! What’s New At Armadillo …. Happy Hour is 10:00 a.m. to 12:00 p.m. then 4:00 p.m. to 6:00 p.m. Saturdays. Save and extra 10% (up to 35% off) on the entire store. A $200.00 minimum purchase on furniture is required. Now is a GREAT time to consign! Call us or visit our website for an appointment. 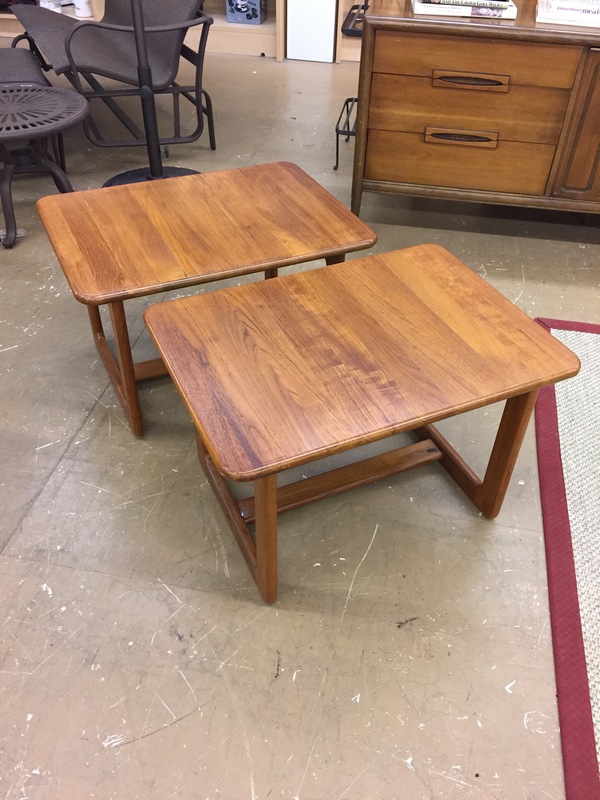 We just received these and other mid century pieces as well. More modern items will be delivered to us this weekend. You want to shop our happy hour sale this Saturday from 10 AM to 12 PM and then again from 4 PM to 6 PM. All items are 10% and off except furniture which will be discounted 10% for purchases of $200.00 or more. Don’t forget, we are in the Chinook book! There’s a bit of a chill in the air, football is back and there is talk about Thanksgiving and Christmas. As people embrace the change of seasons, it’s provides an excellent time to consign and to buy. 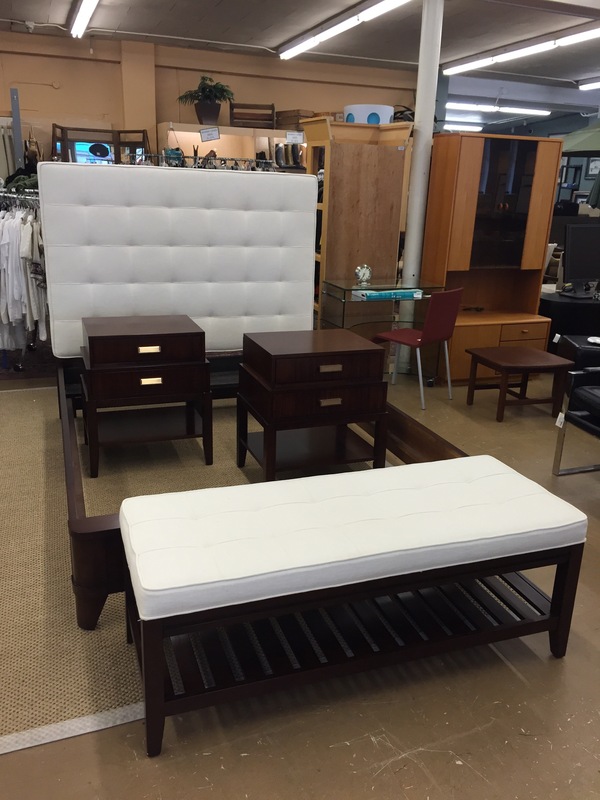 We have commitments for really nice furniture and the clothing and accessories have been coming in the last several days. Don’t let the moment pass. Stop in or go online to consign today … ! Also … don’t forget that Happy Hour is back. This month, it’s Saturdays from 10:00 a.m. to 12 p.m. then again from 4:00 p.m. to 6:00 p.m. Can’t make it? We’re also in the Chinook book! We recently received a very nice consignment from a stager who works with a home builder. 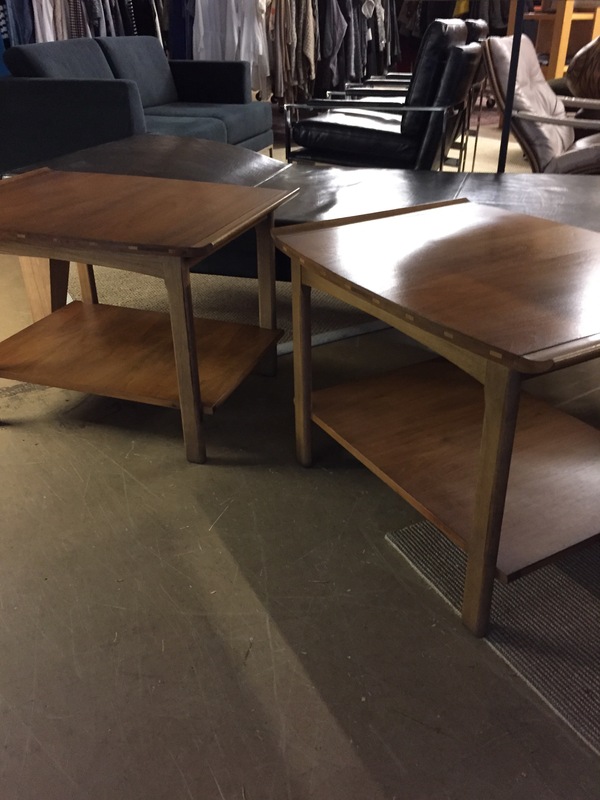 These are high quality (Basset, West Elm, Global Views) items that are in almost new condition. In fact some are new! If you are a stager or just want to spruce things up a bit you’ll want to shop soon. The video gives you a glimpse of what you can expect to find. The last few shots are from a consignment we expect to receive. Join us Saturday for 5% off your purchase.